Huber Bock has been the most awarded beer at this brewery for the past 65 years. It is a bottom fermenting lager that generally takes extra months of lagering (cold storage) to smooth out and to allow Huber Bock to truly age to perfection. This creates its creamy texture and rich flavor. 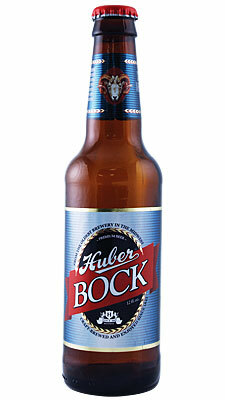 Huber Bock has a fine, malty body like the bocks of southern Germany, but is drier than the typical bocks of Bavaria. Huber Bock is made with brewers 2-row malt, carapils malt, black malt and domestic hops. Huber Bock pours extremely dark brown but is opaque and turns ruby when held to the light. There is a small off-white head that dissipates fairly quickly but leaves some light lacing down the glass. The aroma is sweet but tangy. There is a good bit of dark roasted malt aroma with a very light coffee and cocoa hint. 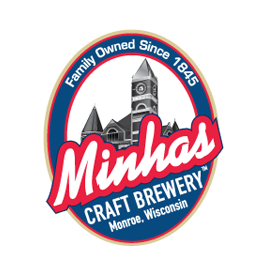 The taste has a “just-right” sweetness, with a roasted malt flavor and well balanced hops. A robust smoothness best described this classic beer. Huber Bock will go well with hearty beef soups and stews, heavier sauces and salty foods. It pairs real well with soft and semi-soft cheeses such as spiced Havarti and Limburger. Huber Bock is available in many US states.